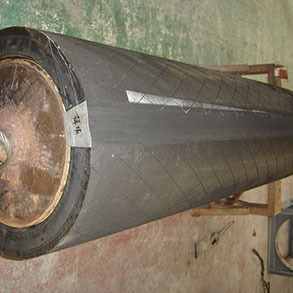 Mandrel Rubber Sleeves are employed in order to reduce any damage on steel sheeting during the winding process. They be can be used on the payoff reel to change a reel to fit different ID coils. The sleeves can also be used to rewind the reel to wind a sleeve to a different diameter without doing damage to the coil with telescoping and breaks. At Wuxi Aomeite, we can design the Mandrel Sleeve to meet your specific needs.